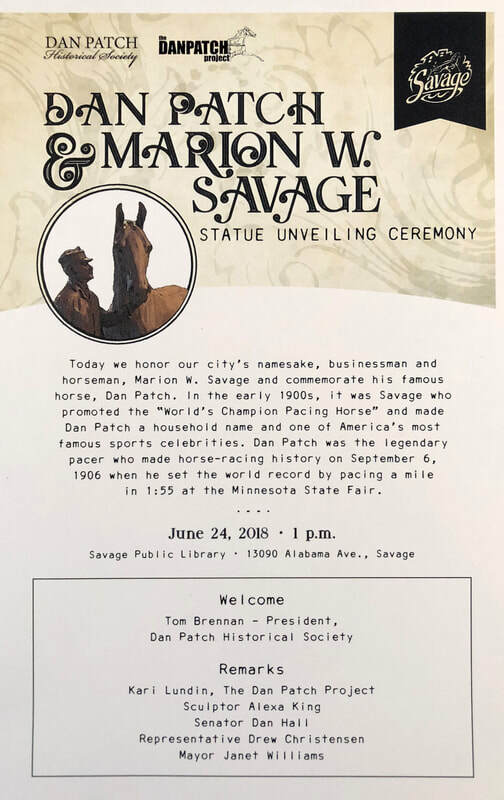 ​Years in the making, a bronze statue of famed racehorse Dan Patch and his owner, M.W. Savage, is now forever on display on the lawn outside the Savage Public Library. 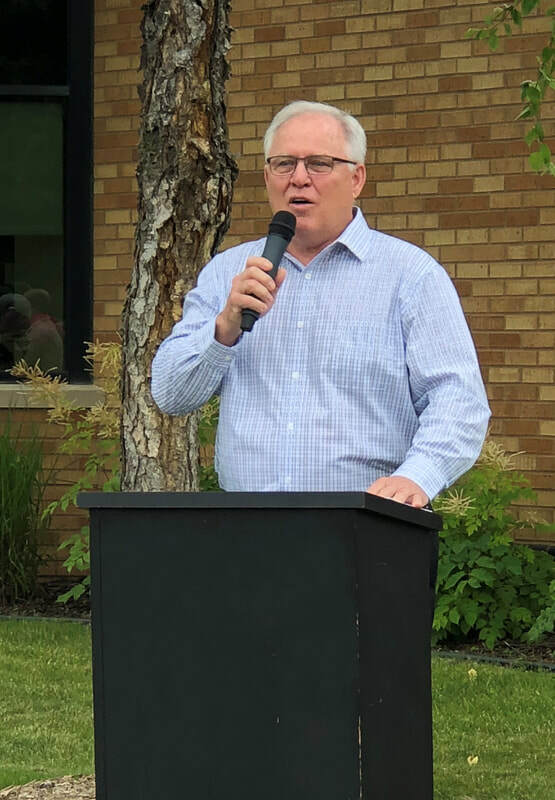 The statue unveiling ceremony took place on Sunday afternoon, marking the close of this year's Dan Patch Days, an annual citywide celebration. In 1906, Dan Patch set the world record for pacing a mile in under two minutes at the Minnesota State Fairgrounds. His owner, M.W. Savage, housed his prize horse at a luxury farm and stable in Savage. To this day, Dan Patch is looked to as one of the greatest race horses of all time. "I wanted both of them to be equal," sculptor Alexa King said of her design. "It's kind of a quiet moment for him. He's with his horse — this is a very famous horse but it's also his personal friend and that's what I tried to do in this statue." 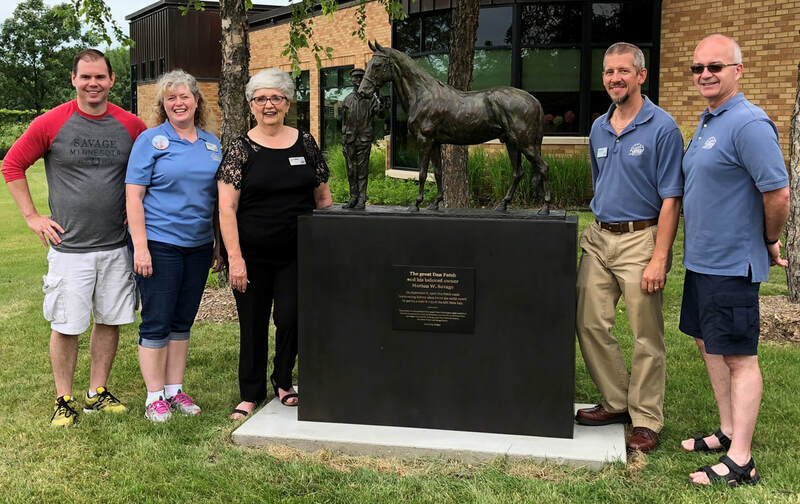 Kari Lundin, the organizer of The Dan Patch Project and King's friend, had the idea for the statue years ago and knew just the right person for the job. King's other work includes the Barboro Memorial that resides in the courtyard at Churchill Downs, the home of the Kentucky Derby. 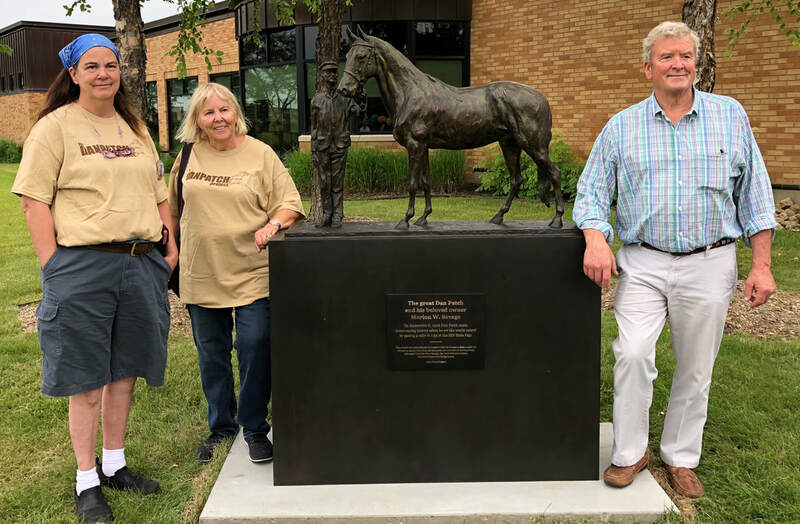 Lundin said that horses of the same caliber as Dan Patch are remembered in bronze all over the world. Both Lundin and King grew up with childhood memories of being fascinated by Dan Patch's history in their hometowns. One day, in 2015, Lundin was reminded of Dan Patch and wondered if he really was as great as she thought he was as a kid. "I picked up a book and I quickly realized that not only was he that good, he was among the greatest of all time," Lundin said. Soon after, Lundin began her efforts to make her dream of the statue a reality. 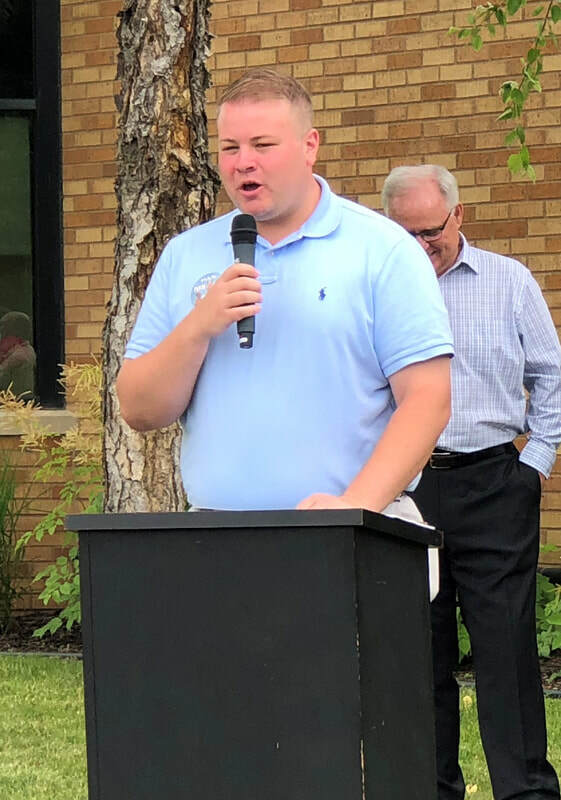 Sen. Dan Hall, R-Burnsville, and Rep. Drew Christensen, R-Savage, who worked to secure funding, also spoke at the ceremony. The Minnesota Legislature provided $75,000 to the project through the legacy funding and private donations made up the other $25,000. All donors are named, without their contribution amounts, on a plaque. Hall said he continues to work toward Dan Patch becoming the official state horse. 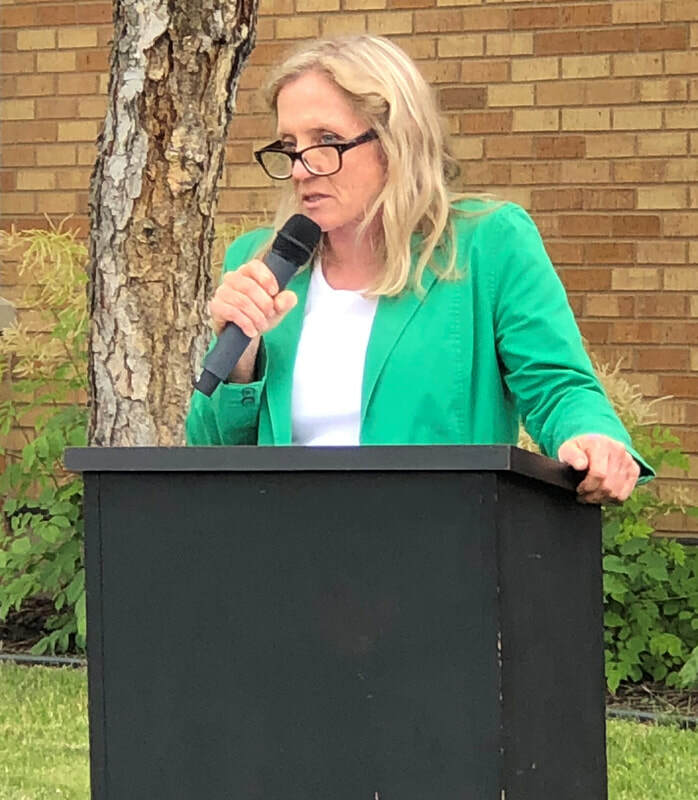 "I always wanted a statue of Marion Willis Savage — who is our city's namesake — so that residents and others know where the city got its name," said Savage Mayor Janet Williams. 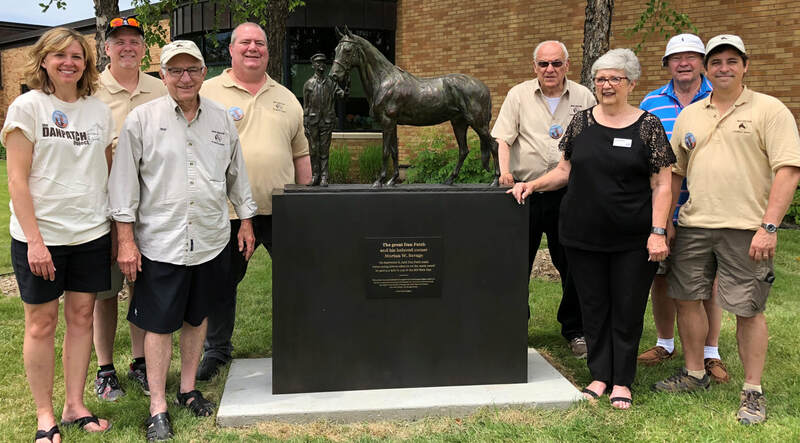 Original members of the Dan Patch Historical Society present for the ceremony today which was established in 1992.